Toward the end of 2009, in a bedroom in Stockton, CA, a 21-year-old Justin Vallesteros began layering simple synth and guitar lines to create the sound that would become Craft Spells. What began as an experiment soon became a vibrant world of elegant guitar chords laced over looped rhythms, heavenly synth melodies, and pulsating bass. When Vallesteros recorded his first track "Party Talk," an outpouring of online enthusiasm led him to move to Seattle and flesh out a full band for the debut LP Idle Labor, released on Captured Tracks in Spring 2011. 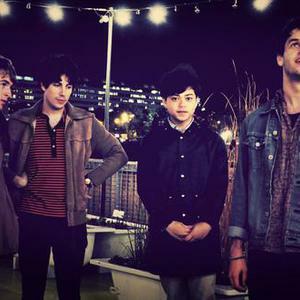 If you love Felt, The Smiths, Echo & The Bunnymen, and the beautiful monotone drone of Ian Curtis, Craft Spells might soon be your favorite nuevo-new romantics.